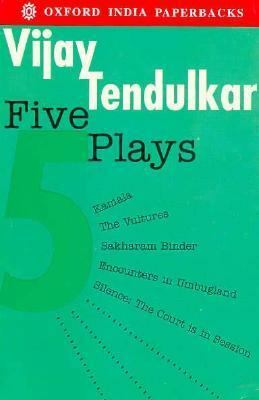 Tendulkar, Vijay is the author of 'Five Plays Kamala, Silence! the Court Is in Session, Sakharam Binder, the Vultures, Encounter in Umbugland' with ISBN 9780195637366 and ISBN 0195637364. Loading marketplace prices 3 copies from $29.55 How does the rental process work?